The number of attacks targeting pipelines in Nigeria in October increased by 42.9 percent, according to the Nigerian National Petroleum Corporation (NNPC). 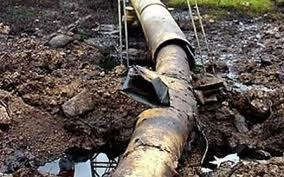 The state oil company on Tuesday raised an alarm on the increasing incidents of pipeline vandalism across the country, saying in October last year its pipeline network suffered a 42.9 per cent increase in the incidents of pipeline vandalism compared to the previous month during the year. Giving a breakdown of the incidents of breaches in its infrastructure, NNPC Group General Manager, Group Public Affairs Division, Mr. Ndu Ughamadu, in a release today in Abuja, said the corporation recorded 219 pipeline vandalized points in the month under review, compared to 125 incidents it suffered in September of the same year. Mr. Ughamadu said the findings that were captured in the NNPC Monthly Financial and Operations Report for October 2018 revealed that among the breaches, four vandalized pipeline points failed to be welded and one point was ruptured. Mr. Ughamadu said that despite the challenge posed by pipeline vandalism, the NNPC kept an eye on Premium Motor Spirit (PMS) stock level to ensure zero fuel queue across the nation. The NNPC monthly report also stated that Nigeria earned $640.35million from the export of crude oil and gas for the month of October, 2018. Total revenues generated from the sales of white products for the period October 2017 to October 2018 stands at ₦2.684Trillion, where PMS contributed about 88.32 per cent of the total sales value of ₦2.371 Trillion.